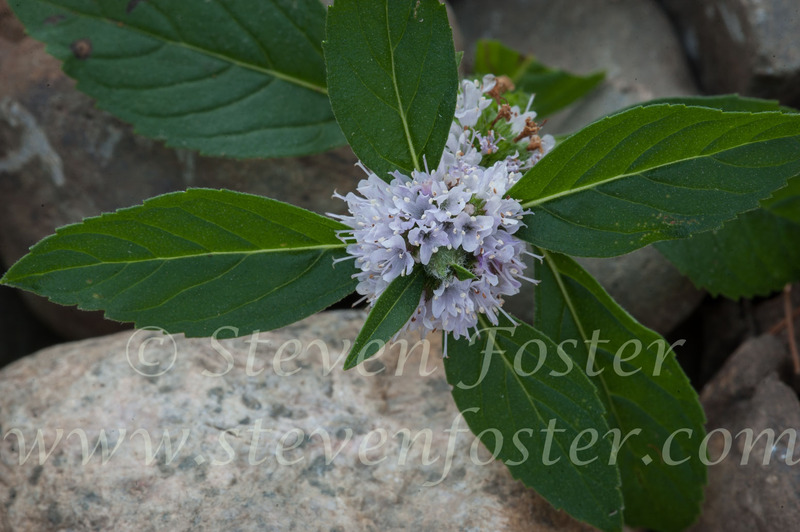 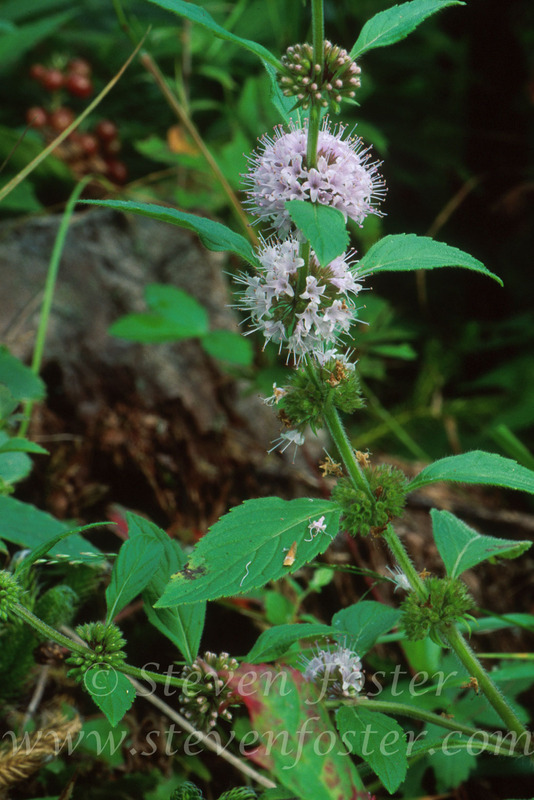 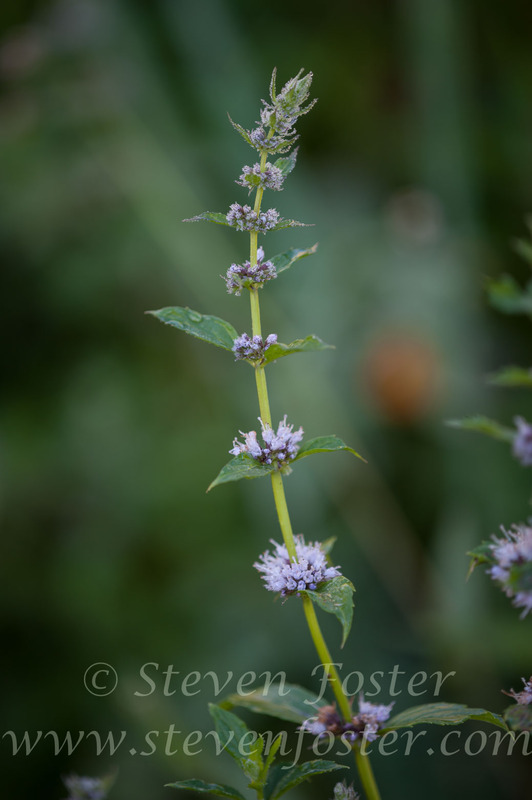 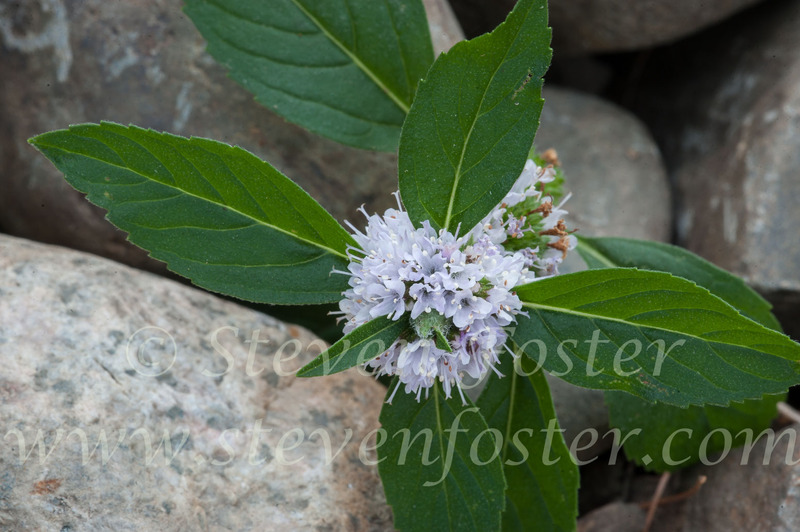 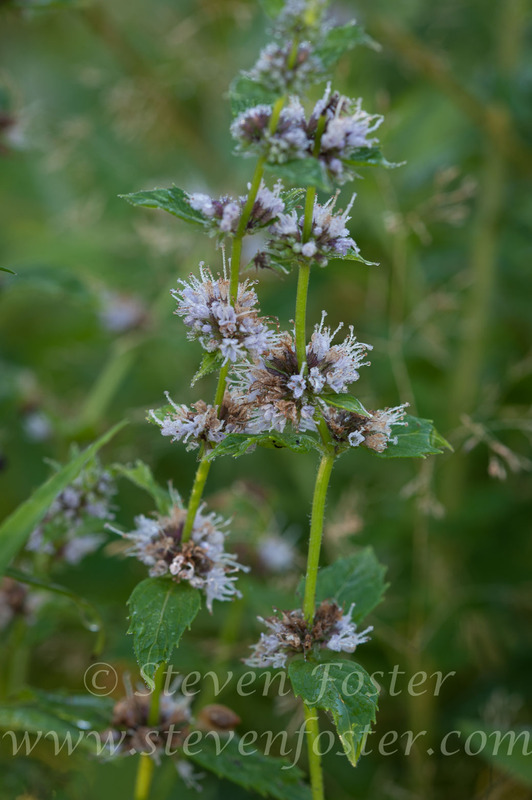 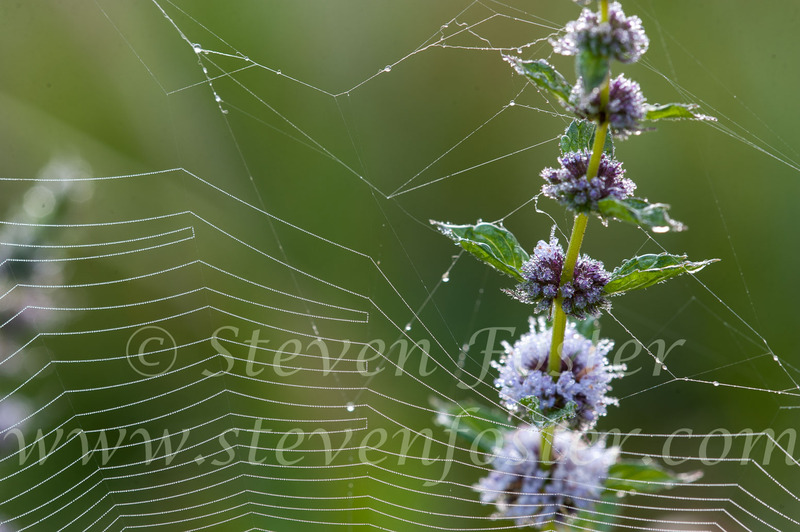 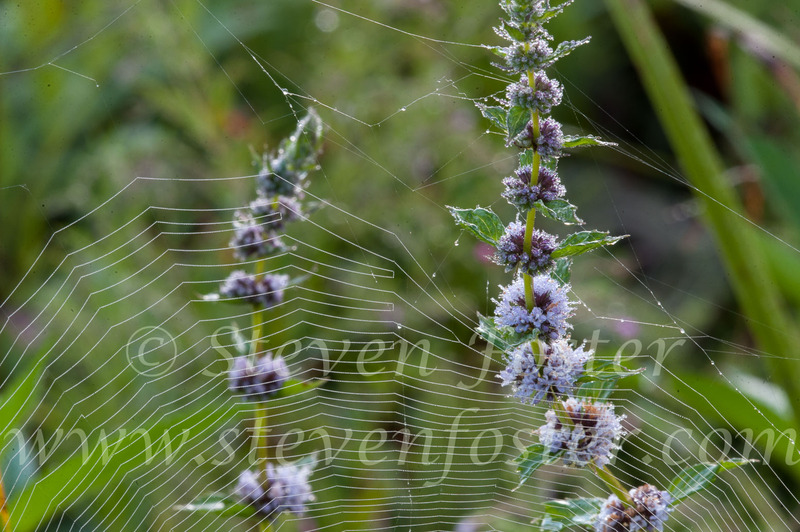 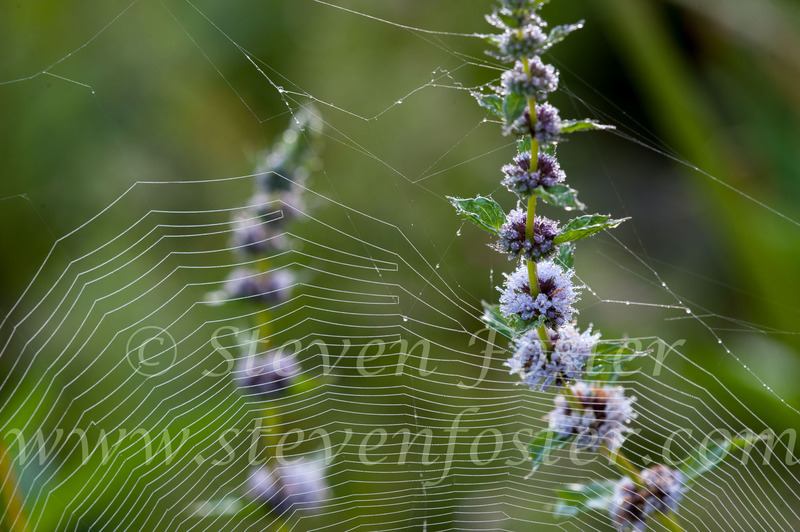 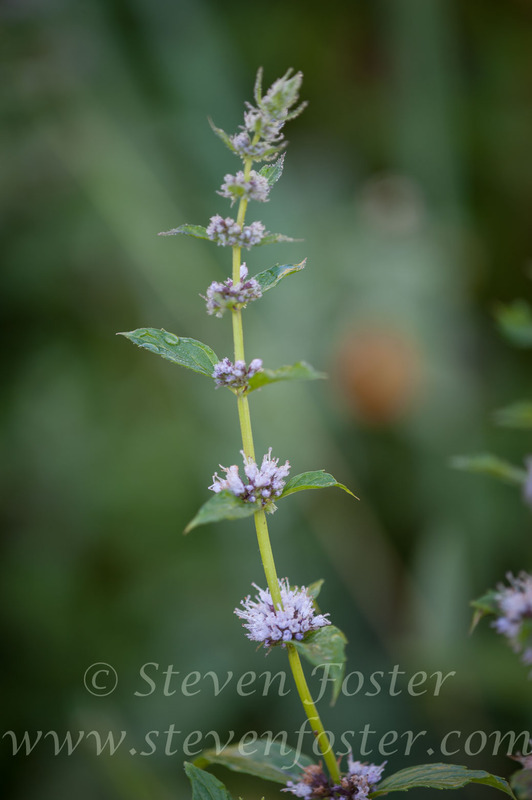 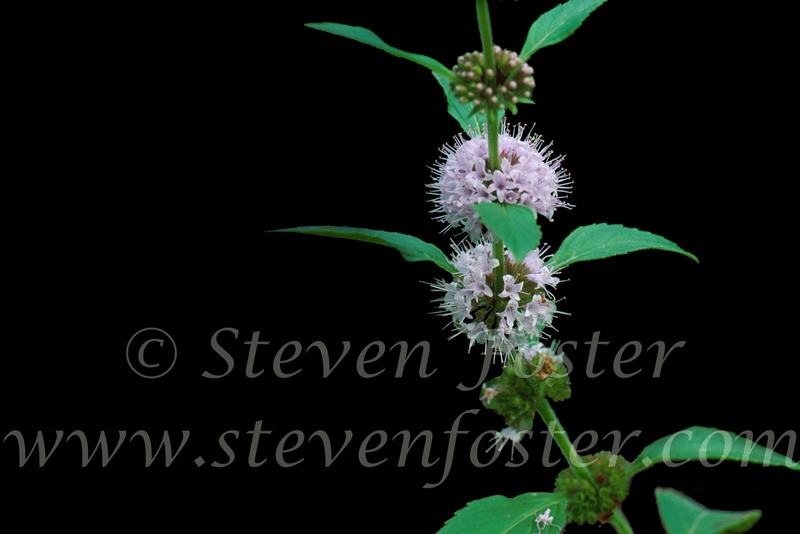 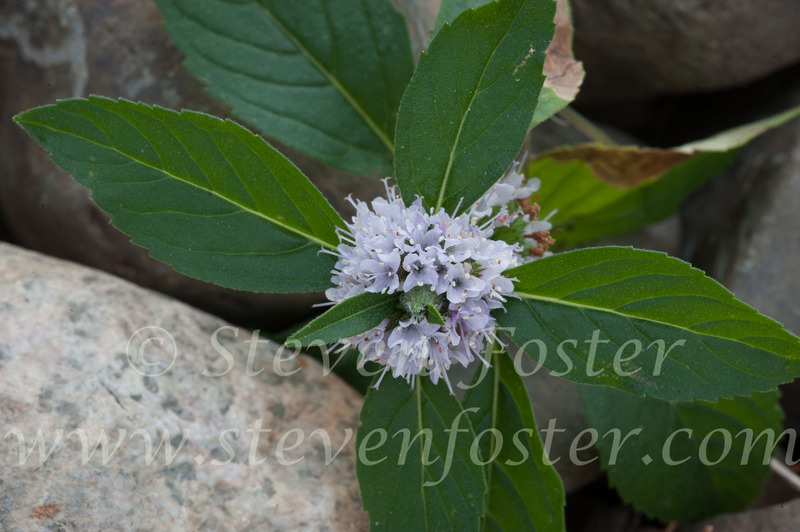 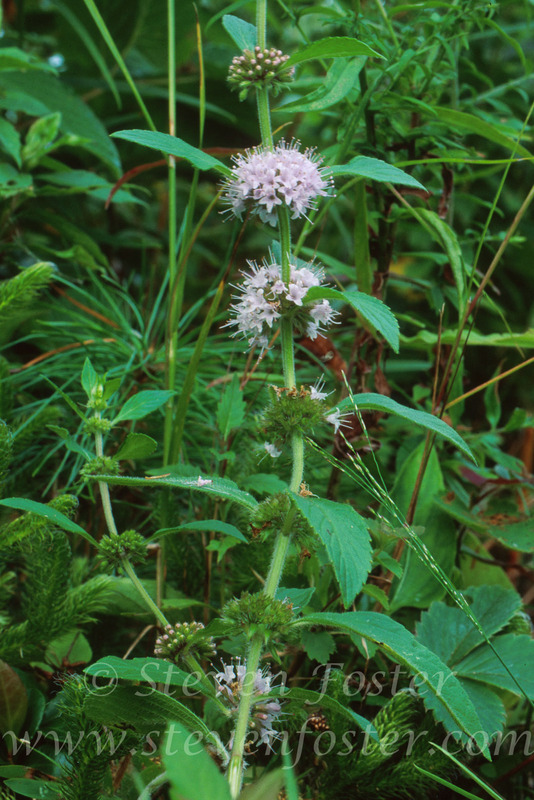 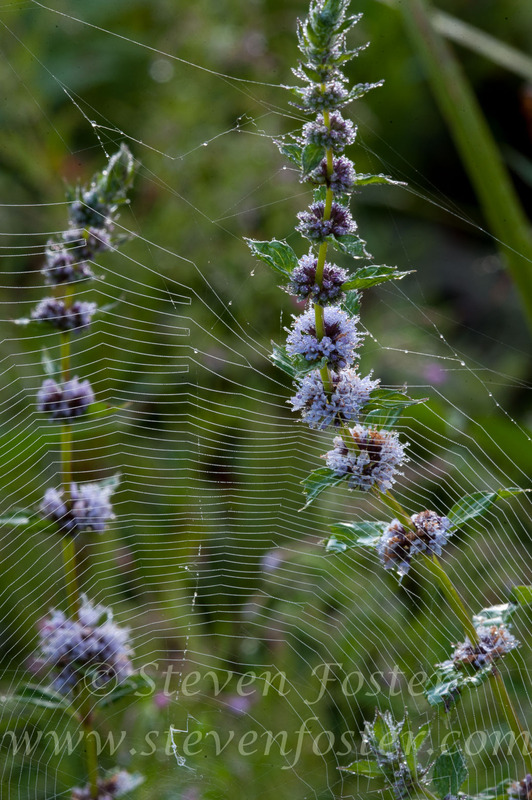 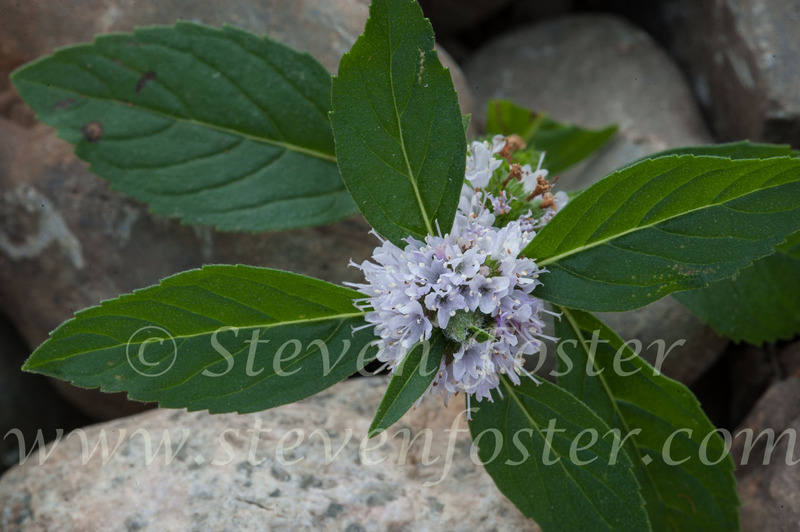 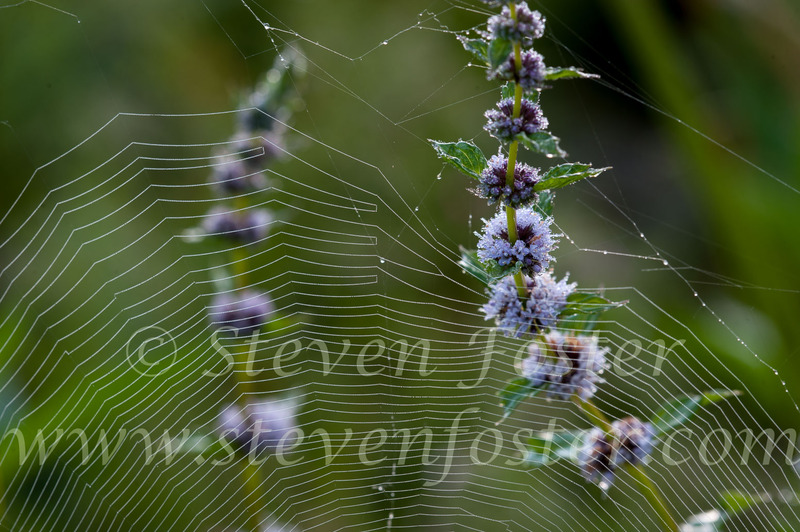 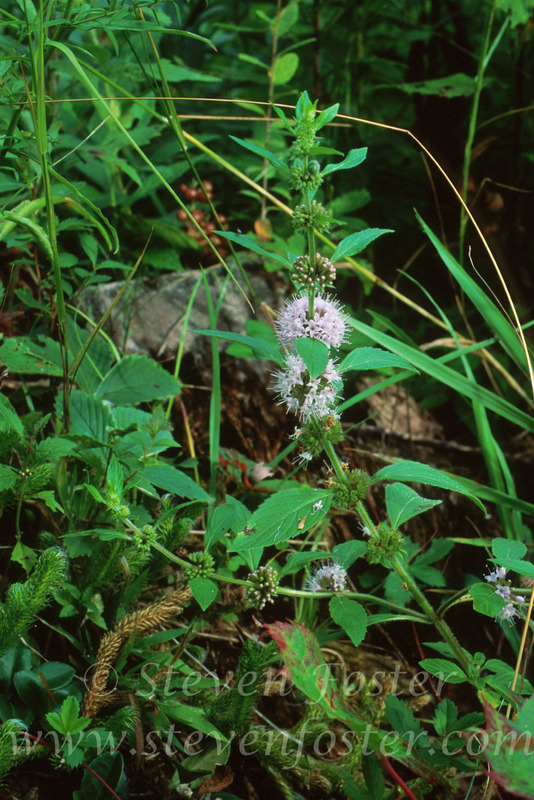 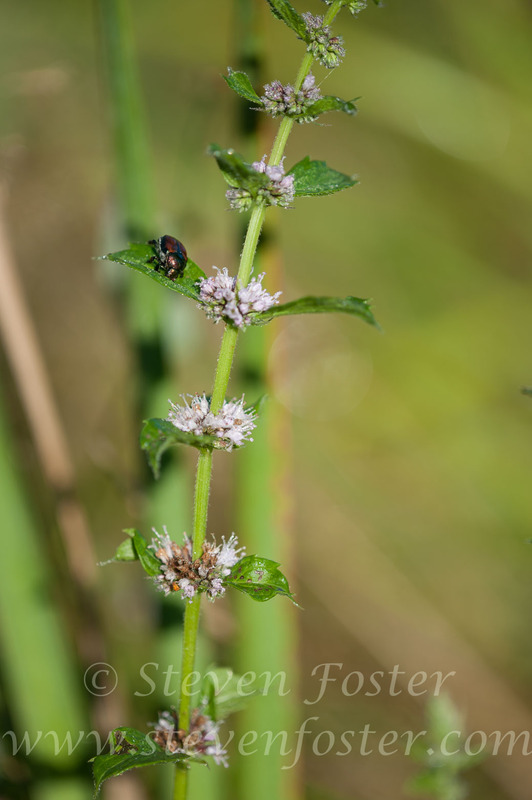 Mentha canadensis, Wild Mint, North American cornmint. 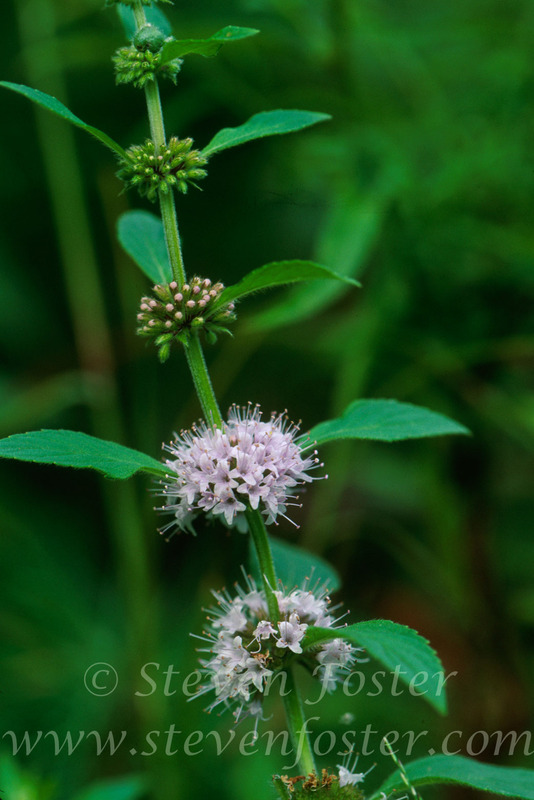 Mentha canadensis, Wild Mint, North American cornmint. 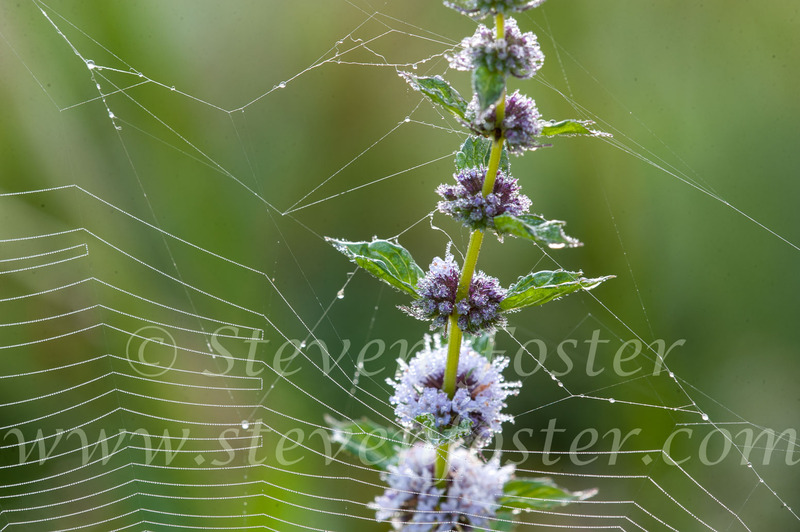 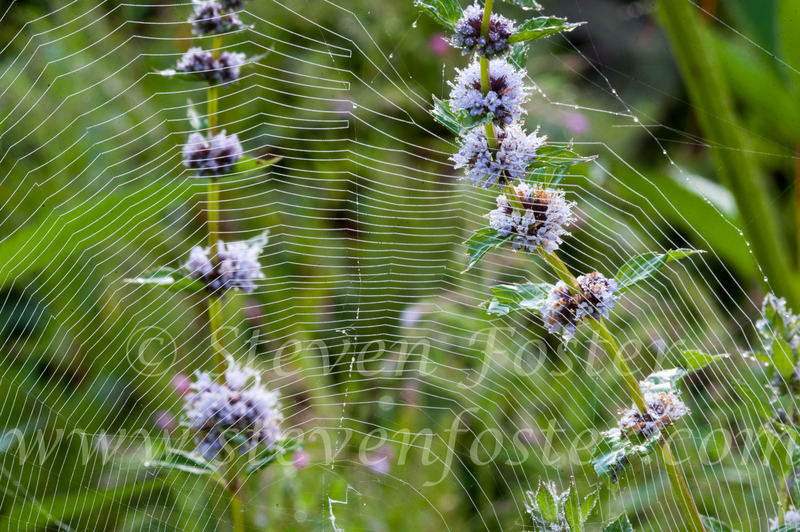 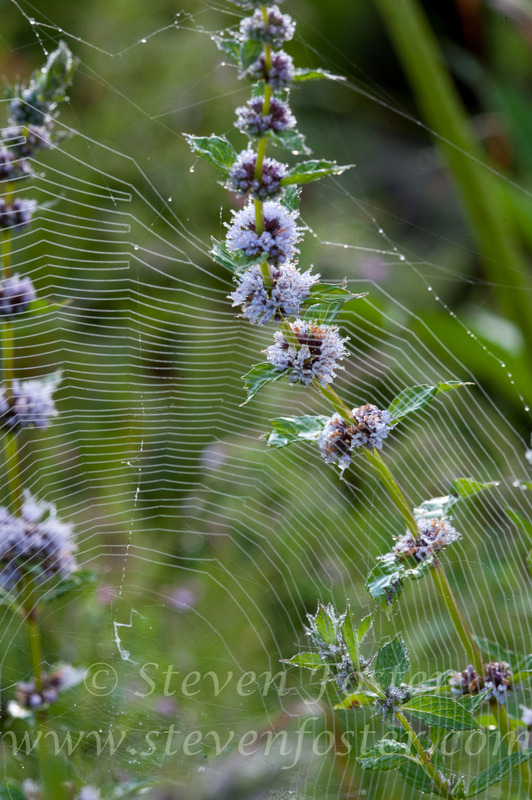 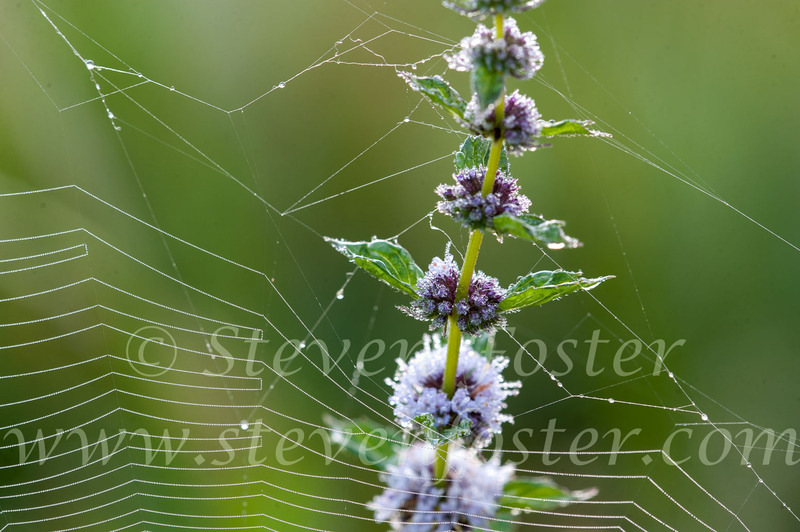 Our only native Mentha species. 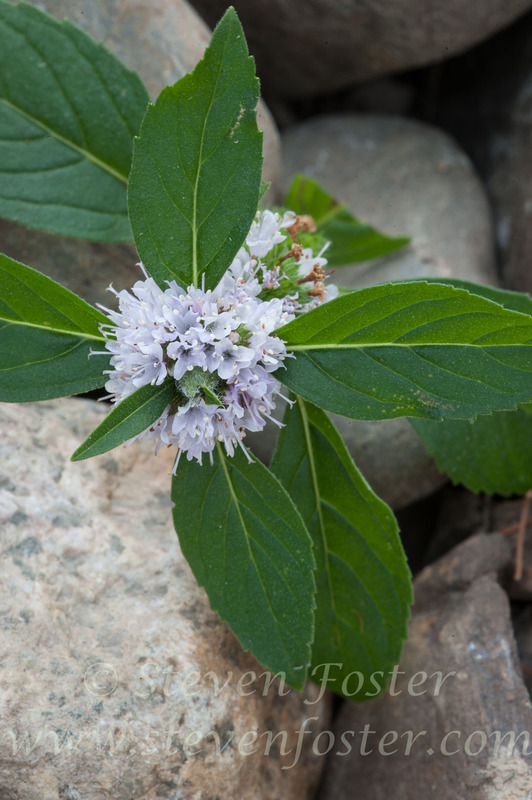 Leaf tea used for colds, coughs and fever. 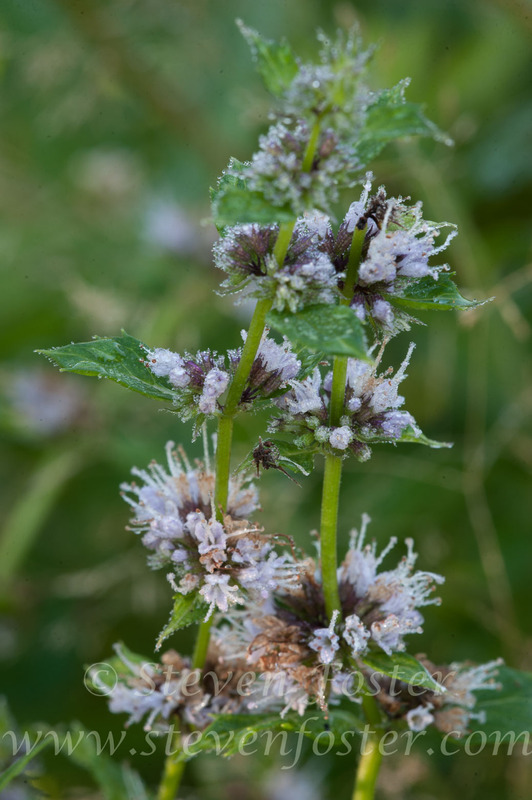 Green leaves packed around an aching tooth to relieve pain and inflammation. 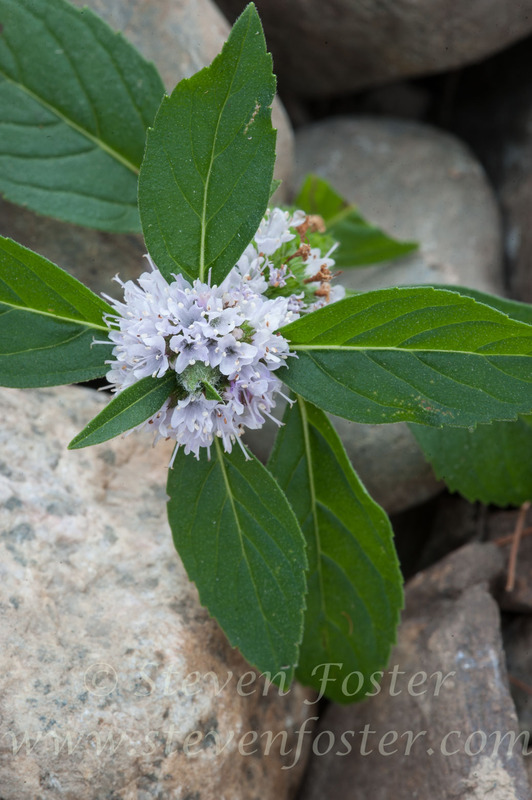 The Cheyenne used the ground leaves in tea to prevent nausea. 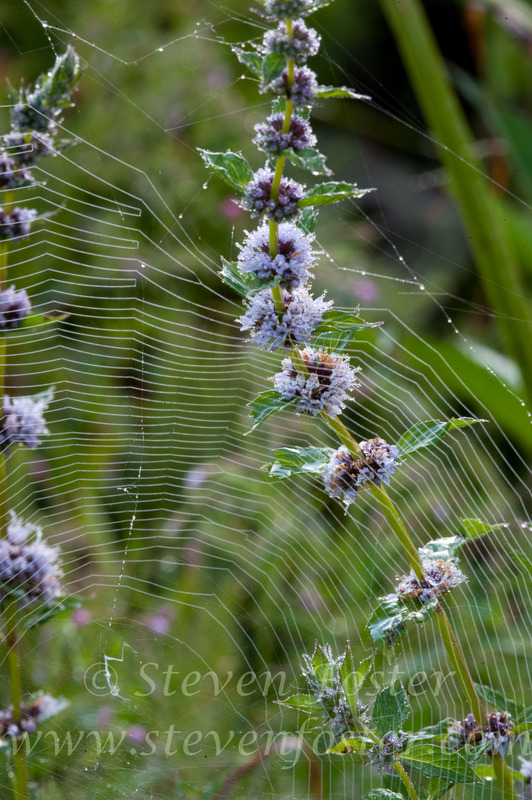 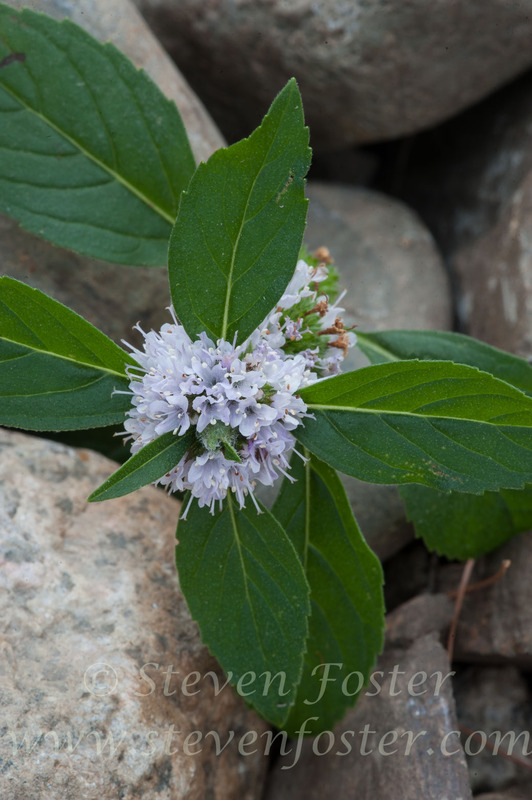 Other Native American groups used tea for sore throats, gas, colic, indigestion, headaches, diarrhea. Bascially, used in the same ways as peppermint and spearmint.